AngularJS is also called just "Angular". 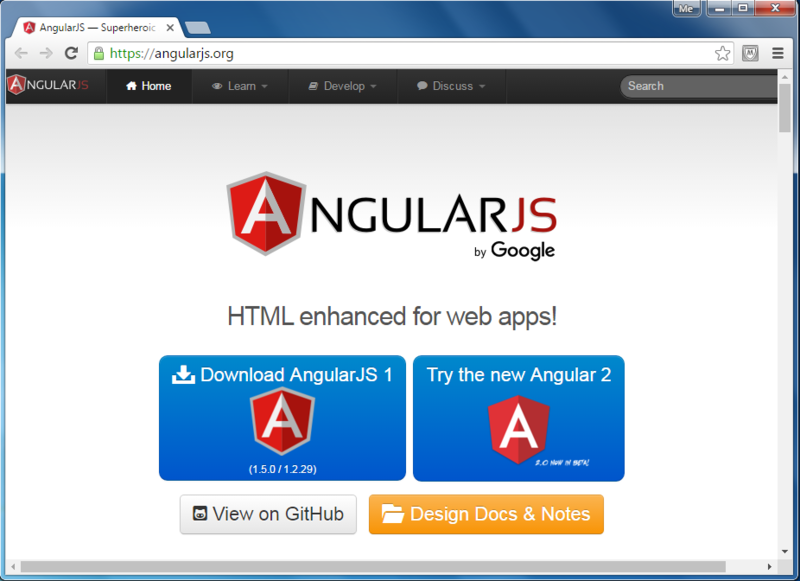 As you can see in the above angularjs.org website, you can download AngularJS 1 library by clicking on the Download AngularJS 1 link. AngularJS 2 is in the beta version as of this writing. This tutorials uses AngularJS 1. Angular is an open source framework. Click on View on GitHub link to see the source code. The following is a simple AngularJS example that changes a label to whatever you type in the textbox. The above example is plain HTML code with couple of AngularJS directives (attributes) such as ng-app, ng-model, and ng-bind. The same task can be accomplished using jQuery with more lines of code, as shown below. Thus, AngularJS includes built-in attributes using which we can increase the productivity. Let's setup AngularJS development environment in the next section.